When the word “grunge” is spoken, my mind instantly goes to Seattle in the 90’s. 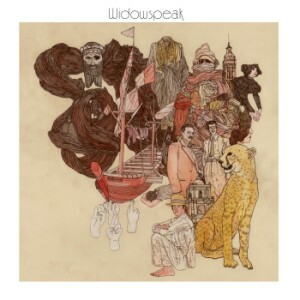 With that scene seemingly long gone, Widowspeak reminds us that in Brooklyn it’s alive and thriving. Like grunge’s forefather Nirvana, Widowspeak is a trio of dedicated musicians. Frontwoman, Molly Hamilton has a wistful intonation to her vocals that are reminiscent of Mazzy Starr or Juliette Lewis (I can only guess she’s more than use to this comparison by now). These vocal stylings make for somewhat slurred lyrics that can be difficult to interpret at times but are compensated for in the authentic emotional quality. “You’re still a wild one but what is it you’re running from” is a taste of the theme in the flavorful track “Gun Shy”. A lean framework of instrumentation smartly compliments Hamilton and avoids the overdressed feeling that can be felt by similar artists. The simplicity lends a certain demeanor to the ambiance. However, with that being said, I wouldn’t have complained if some tracks were adorned with a cow bell or harmonica.